Bangs are coming back! We often hear that bangs are making a come back and I think, Maybe!? I love bangs! After alot of primping here they are! Clip-Ins! Real cut bangs are such a commitment. Once they’re cut you’re in for a while, there’s no turning back! It takes a good 6-9 months to really grow them out. Before you make the cut, you have to think about the natural wave in your hair. 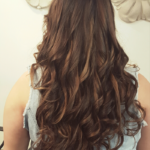 A curly fringe can be difficult to work with and take some time to straighten every day. Bangs need to be maintained frequently. They grow out quickly. You don’t want them too short initially. In 10-14 days they will need tweaked a little. We do free bang trims for our clients, so you don’t have to worry about trimming them yourself. If you do decide to trim a little, it’s best to do them dry and cut straight up into the hair instead of across. Cutting straight across will leave a sharp line and you can end up too short. Side swept bangs are a great way to start if you’ve never tried before. Straight across are great and bring alot of attention to your eyes.We can help you decide how thick and short they should be. I’ve had bangs plenty of times and you can’t get the same effect of naturalness from the clip-ins but it’s a nice way to try them! It’s important to get the right color. My friend has very dark hair and they look amazing on her. They clip in and are comfortable. It took me quite a while to make them sit right and I needed to trim them a little to frame my face. If you get them bring them in to us. We can style them to fit you perfectly! 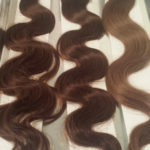 These are the most beautiful hair extensions available. They are from Cinderella Hair. 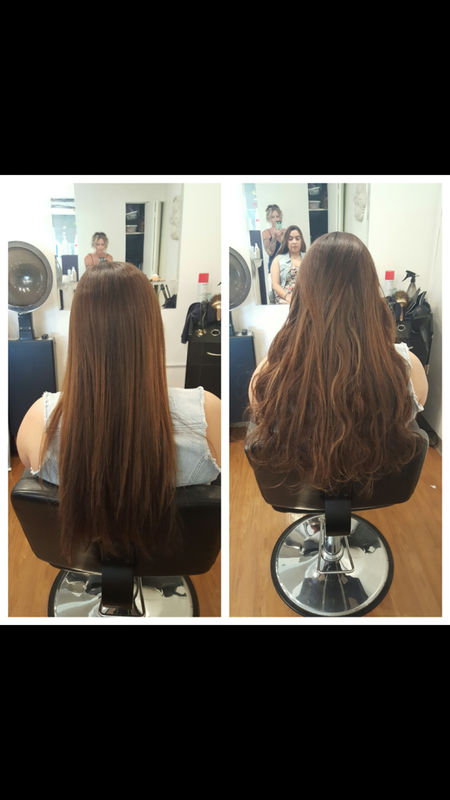 Reheem wanted thicker fuller, hair and choose wavy 22 inch tape in hair extensions. Harbor shampooed and prepared her hair and placed the 30 human hair pieces throughout Reheem’s hair. She choose 2 colors, one similar to her hair and the other a couple shades lighter. The outcome is amazing! In about 3 months Reheem will return to the salon where the extension can be removed and replaced. 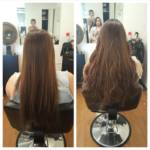 The hair grows and can start to tangle, so removal is necessary to keep the hair healthy. 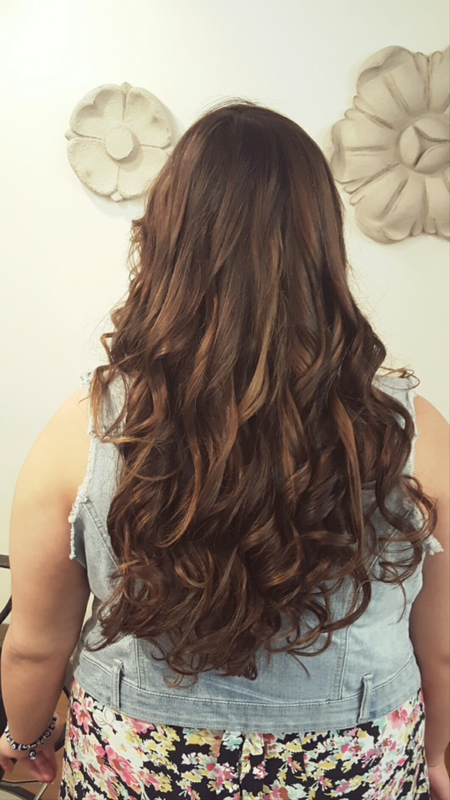 Extensions are also a great way to add highlights to your hair. 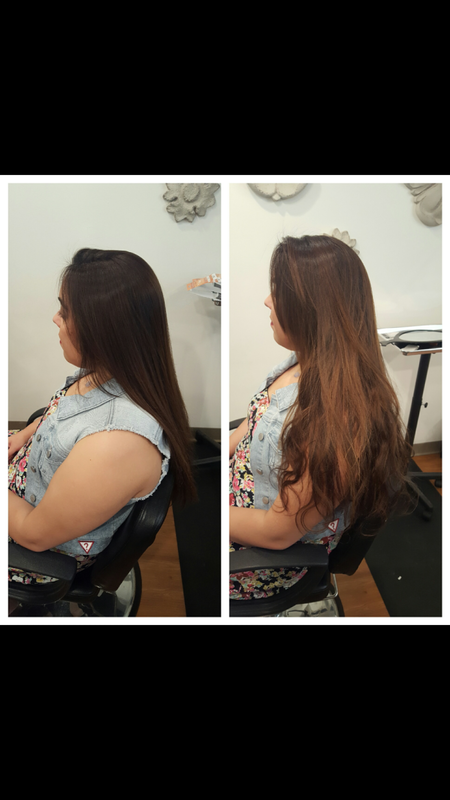 If your hair is very dark you can easily get blonde, red or the perfect caramel color added in about an hour or so. 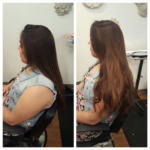 A consultation is necessary to choice the right color and length for your style. 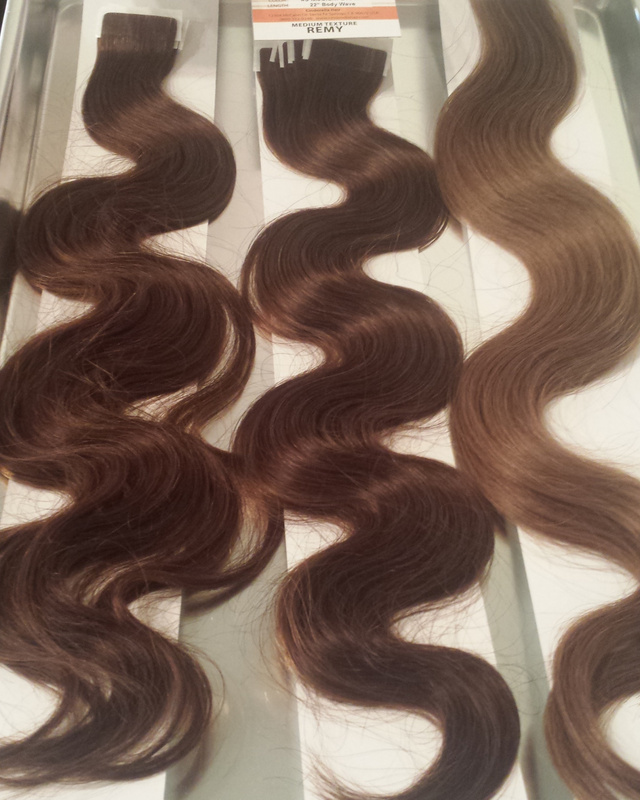 The hair extensions take about 5 days to be shipped to the salon. 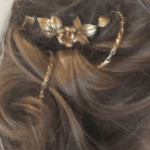 We love doing wedding hair. 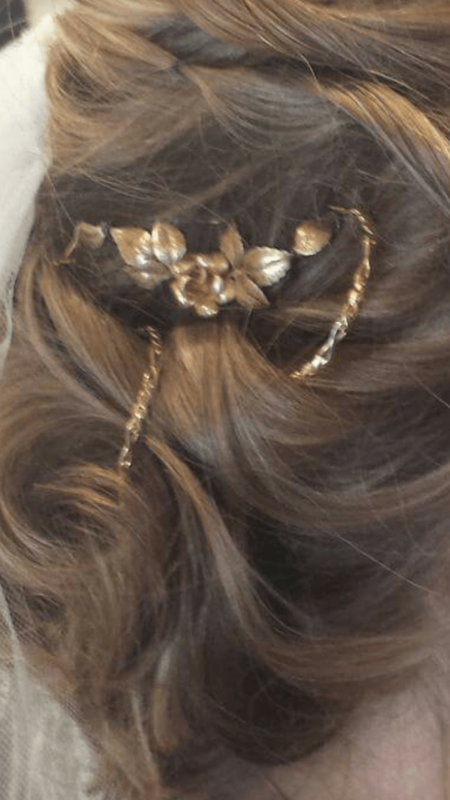 It’s great to personalize your hair for your big day. This is a beautiful way to wear jewelry from your family. Our bride wanted to use her grandmother’s necklace on her wedding day. It’s the same necklace her grandmother wore for her own wedding! We’ve done the same with earrings! You just really want to make sure you pin them securely. We can’t wait to see what other ideas this wedding season brings! Brooke does a great job. That is an understatement. I brought my niece in one summer day with no reservation after swimming all day at the pool. To my surprise, the first hair cut is important stage in life and Brooke saved me from my sister. She put clippings in a wonderful keepsake. My sister liked the hair cut so much that she still cries when talking about it, years later. Thanks, Brooke!